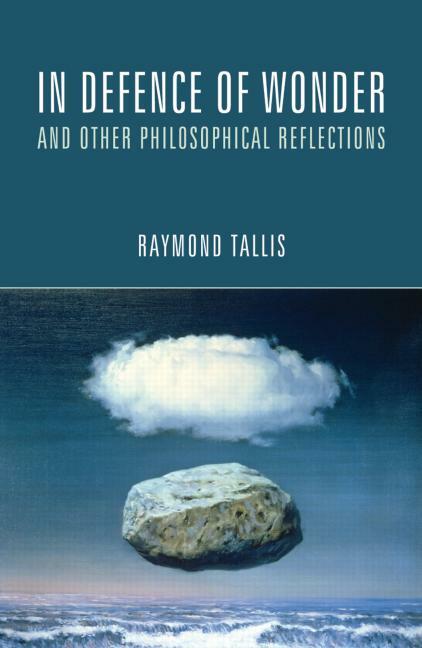 In these lively and provocative essays, philosopher, polymath and all-round intellectual heavyweight, Raymond Tallis debunks commonplace truths, exposes woolly thinking and pulls the rug from beneath a wide range of commentator whether scientist, theologian, philosopher or pundit. Tallis takes to task much of contemporary science and philosophy, arguing that they are guilty of taking us down ever narrowing conduits of problem solving that only invite ever more complex responses and in doing so have lost sight of "wonder" - the metaphysical intoxication that first gave birth to philosophy 2,500 years ago. Tallis tackles some meaty topics - memory, time, language, truth, fiction, consciousness - but always with his characteristic verve, insight and wit. These essays showcase Tallis's skill for getting to the heart of the matter and challenging us to see, and wonder, in different ways. Wonder is the proper state of humankind, and as these essays show it has no more forceful a champion than Raymond Tallis.